With thanks to Doug McGinnis for his bee talk at Atlantic Center for the Arts. We learned all about almond groves in Florida, and the lives of commercial beekeepers and their bees, what plants were good tucker, and then honey tasted ourselves into unconsciousness with honey from around the world. Most delicious! 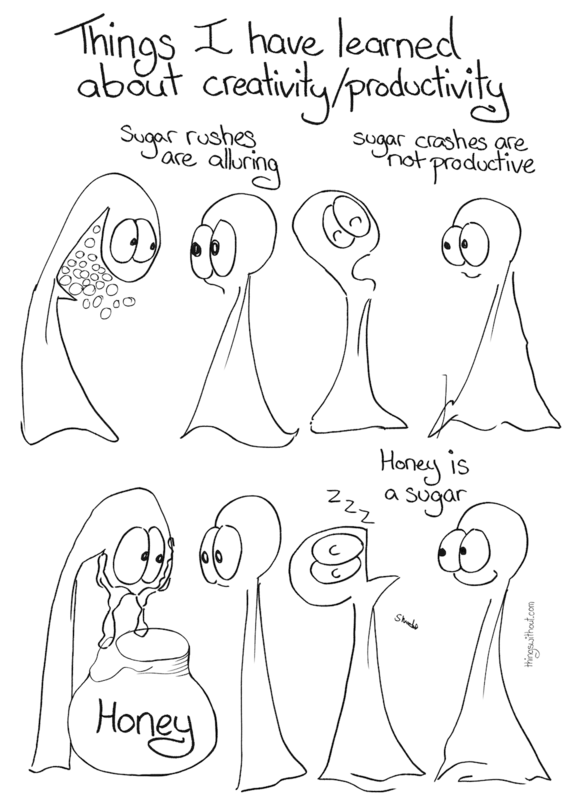 Sugar crashes are not productive. Thing 1 crashed out and sleeping soundly, zzzzzzz.